It's A Wonderful (Italian-American) Life It's a Wonderful Life has cemented itself as a staple of the American Christmas season. However, if you listen closely, you can also hear traces of the Italian-American singers whose smooth voices defined a generation of Christmas carols. 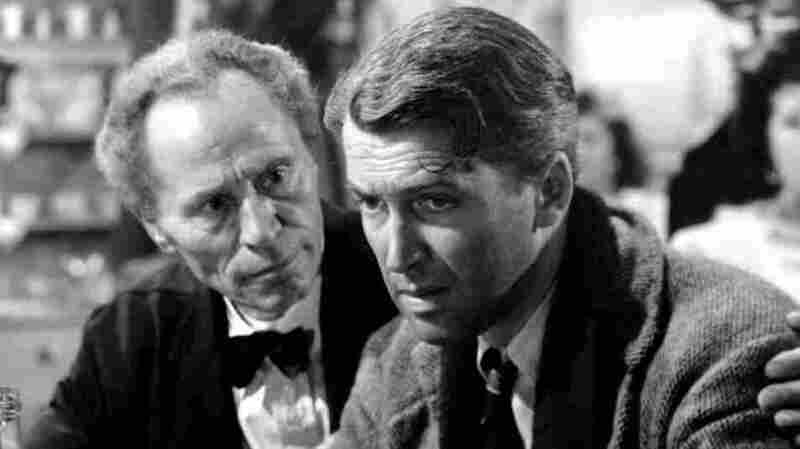 We think of It's a Wonderful Life as a great American movie, a great Jimmy Stewart movie, a great Frank Capra movie — and, of course, as a great Christmas movie. We don't think of it as a great Italian-American movie. But we should, especially at Christmastime, when Italian-Americans — of Capra's generation and beyond — can be heard in every shop and restaurant singing many of the songs that define the season. Capra was born in Sicily, and at age 6 moved to Los Angeles. It's a Wonderful Life is spiced with subtle but significant references to his fellow Italian-Americans; it was made, moreover, at a time when they were entering mainstream American culture. As they did, they made substantial melting-pot contributions to traditional American Yuletide themes. Let's start with the movie. Jimmy Stewart's all-American George Bailey and his Building and Loan company create an affordable-housing development called Bailey Park, into which an Italian immigrant, Giuseppe Martini, is one of the first to move. George and his wife, Mary, pack the Martini family into their car — goat and all — and drive them to their new neighborhood. As they arrive, Martini and his family celebrate with the popular Neapolitan song "O Sole Mio" — "It's my sun that shines on your face." Soon, Giuseppe does well enough to open Martini's Bar and Restaurant; he's realized the American dream. Or has he? As everyone who's watched the movie knows, one Christmas Eve a few years later, George entrusts his uncle to deposit $8,000 in the bank. Along the way his uncle misplaces the money, setting off alarm bells for the bank inspector. Worried that the Building and Loan will be forced to close, George appeals to cold-hearted Henry Potter, the town's wealthiest resident and largest shareholder in the company. Potter denies George's plea, and chides him in the process for playing "nursemaid to a bunch of garlic-eaters" — a reference to the Martini family. At the time, this was a common anti-Italian slur — and it encapsulated an opinion shared by many Americans. The film hit theaters in 1946; just a few years earlier, at the beginning of World War II, the U.S. had made 600,000 Italian "resident aliens" carry identification cards, and placed hundreds in internment camps. At movie's end, George is saved from suicide by his guardian angel, and returns home to find all his clients and neighbors gathering at his house to help make up the lost $8,000. The movie ends with the crowd singing "Auld Lang Syne," based on a 17th-century Scottish poem — but made popular in 1929 by Guy Lombardo, the son of Italian immigrants to Canada. Around the time of the release of It's a Wonderful Life, Italian-Americans were recording lots of traditional holiday songs, embracing the American dream even in the face of discrimination. These singers had a warm charm about them, and they all embodied the Italian idea of la sprezzatura — making hard work look easy. Perry Como and Ann Blyth sing "Winter Wonderland." In 1944, Frank Sinatra released his version of a song Bing Crosby had made famous, "White Christmas." 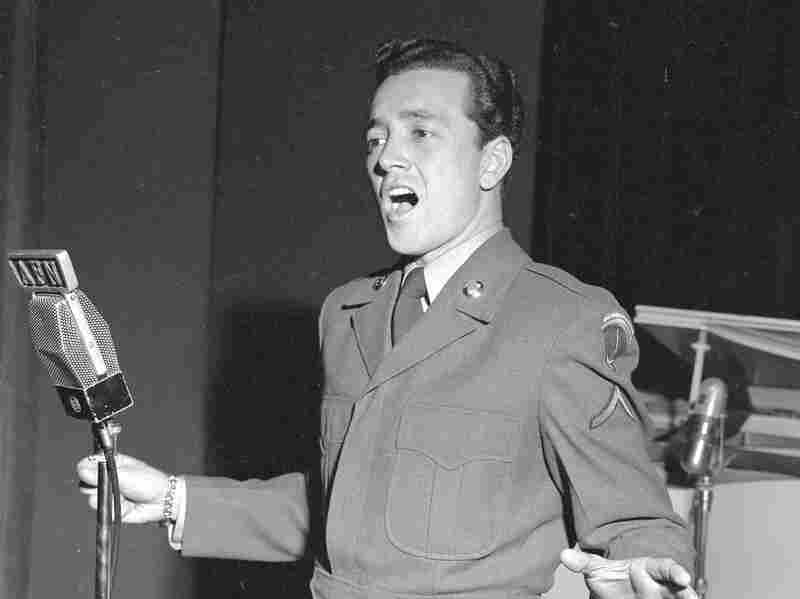 The Irish-American Crosby sings the song like a family man crooning to his kids, while Sinatra — who was classified as 4-F due to a punctured ear drum, and did not serve in the military — sings as a soldier who hasn't seen his wife in a while. Crosby's version is optimistic; Sinatra's is more bittersweet. Pierino "Perry" Como, whose smooth singing style earned him the moniker "the cardigan crooner," released the fun, easy "Winter Wonderland" in 1946. In the early 1950s, Mario Lanza (who changed his name from Alfredo Cocozza), was enjoying great popularity following his starring movie role in The Great Caruso, and released traditional operatic versions of the sacred Catholic song "Ave Maria" as well as "O Holy Night" and "Hark, the Herald Angels Sing." Vic Damone (Vito Farinola), a former choir boy, sang his own crisp version of "Ave Maria." And Frankie Laine (Francesco LoVecchio), whose father was Al Capone's barber, crooned "You're All I Want for Christmas." Later in the 1950s, Louis Prima, who grew up in New Orleans' "Little Palermo," jazzed up Christmas with "Shake Hands with Santa Claus," while Lou Monte joked around in the kitschy "Dominick the Italian Christmas Donkey" — a kind of inside joke for Italian-Americans, who get embarrassed when others hear the song. Connie Francis (Concetta Franconero), the perpetual Italian daughter, sang a weepy "The First Noel," with a tearful break in her voice similar to her signature song, "Mama." But it was Dean Martin (Dino Crocetti) who, with a suave wink and a smile, delivered some of the most memorable Christmas songs: "It's a Marshmallow World," "Winter Wonderland," "Let It Snow!" and "Baby, It's Cold Outside." 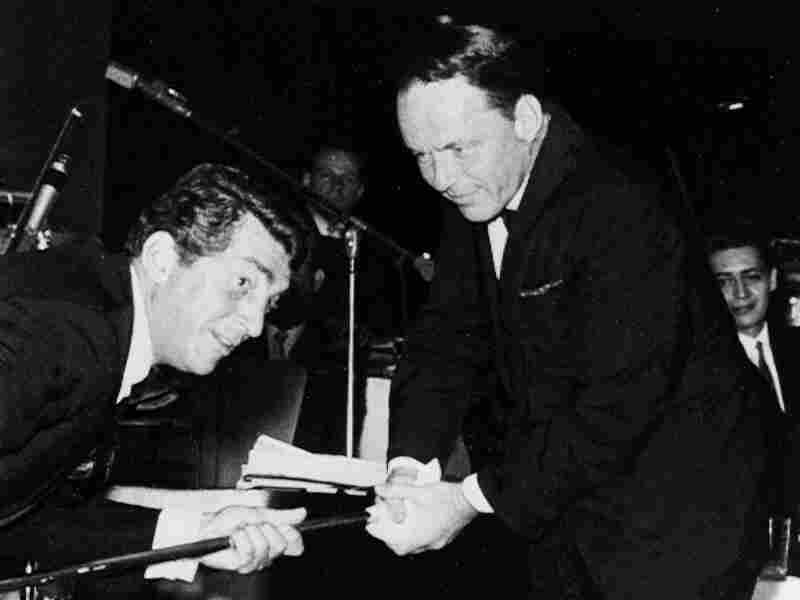 And when Martin and Sinatra team up to sing "Auld Lang Syne," you can almost picture the two old friends as they sing together, arm around shoulder, "Should auld acquaintance be forgot / And never brought to mind?" Taken together, these songs mean that for millions of Americans, Christmas wouldn't be Christmas without these recordings, made by Italian-Americans who helped bring both style to American pop music and respect and acceptance to their compatriots. So when Giuseppe Martini enters George Bailey's living room at the end of It's a Wonderful Life, dumping a large basket of bills and coins onto the table and exclaiming, "I even busted the juke-a-box! "— it's easy to envision a jukebox filled with records by these Italian-American singers. And thus comes to a close the most arguably American of holiday movies — directed by a man born in Italy, featuring a song made famous by the son of Italian immigrants, and highlighting the story of the millions of Italians who would put down roots here to live their lives as Americans. In the final scene of the movie, Mary Bailey calls out to Mr. Martini, "How about some wine?" The crowd cheers — and in keeping with Italian-American folk tradition, an accordion-playing soldier enters the living room and joins in the singing. Mark Rotella is the author of Amore: The Story of Italian American Song, from Farrar, Straus and Giroux.